RoboCamp introduces students to both hardware platforms and software development tools. Students will assemble a multi-purpose robot from a kit and then learn to interact with and control various sensors, motors and related components. 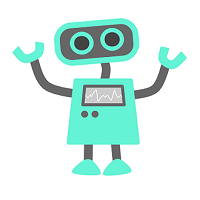 Activities with the robots include Sumobot wrestling, Roboart and a variety of challenge activities including line following and mazes of varying difficulty.